A doctor's diagnosis is an important first step. As costs rise for incontinence products and other home health care supplies, savvy consumers look into any possible means of reimbursement. Options for partial or full reimbursement depend on medical condition, age, financial ability and local resources. Expenses for incontinence supplies may be tax deductible if shown they’re needed to relieve the effects of a specific disease, according to U.S. Internal Revenue Service guidelines. In cases where incontinence products are needed for a condition like simple bladder weakness, individuals may have other options for reimbursement. Start by seeing your doctor, who may diagnose you with medical incontinence and may be able to advise you on seeking reimbursement based on your health and financial situation. Ask your doctor for a letter that explains your medical need for incontinence products and consult your tax adviser. 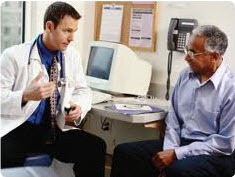 A diagnosis in writing from a health care professional is an important first step toward maximizing options for reimbursement, according to Heather McDonald, senior accountant with Roberts, Ritschke & Tyczkowski, Ltd. “If you have a diagnosed severe neurological disease — Alzheimer’s, for example — and you wear Depends, there is guidance to allow individuals to take the deduction. For something like bladder weakness, you’d need more extensive documentation to even consider the deduction,” she says. In addition to Alzheimer’s, there are more than 600 neurologic diseases, according to the U.S. National Library of Medicine. Other major types include muscular dystrophy, spina bifida, and Parkinson’s and Huntington’s diseases. Patients who have suffered stroke, injuries to the brain or spinal cord, epilepsy, cancer or meningitis also are considered to have neurologic disease. While many private insurance plans do not cover incontinence supplies, you may be reimbursed through a health savings account (HSA) or a flexible spending account (FSA) if certain conditions are met, according to McDonald. “An HSA is self-funded; medical expenses are paid with a debit card or check. An FSA is employer-sponsored. It would have to be a qualified medical expense for both of them. It must be in writing or it would not qualify,” says McDonald. With an HSA, funds contributed to the account are not subject to federal income tax at the time of deposit, and funds roll over and accumulate year to year if not used. With an FSA, an employee sets aside a portion of earnings, which are not subject to payroll taxes, to pay for qualified expenses; funds deposited into an FSA must be used within the calendar year. With flex spending plans, receipts are submitted to a plan administrator and participants receive reimbursement checks. HSA plans are self-administered to pay for medical expenses. When it comes to purchasing incontinence products for the first time, consumers easily can be confused by the array of brands, styles, sizes and absorbencies. And once opened, they can’t be returned, so mistakes are costly. To remedy the problem, we have knowledgeable ladies to answer questions at 1-800-985-1353. And our website is packed with free, helpful, easy-to-find resources, including information on types of incontinence, a product finder tool, samples to try before you buy, a caregiver resource library and hundreds of articles. Consult your tax professional for advice on medical and other deductions.